Still trying to wrap my head around jetting and what the symptoms of those changes feel and sound like. I believe I have jetting dialed in correctly and plug always looks good after running at different throttle positions. There are no flat spots or bogging. 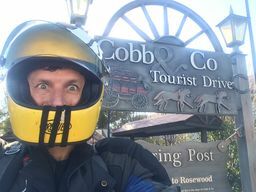 I have been riding on a smaller highway 2 mile connector between the main streets I normally ride on, to get used to highway speeds and to see if I am comfortable with the top speeds of my scooter in light traffic on a highway (which I am not). 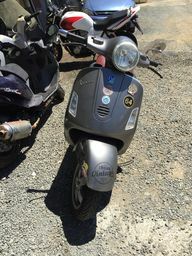 What I've noticed on my stella is that when I am at WOT and max out on speed (50-55mph) in 4th gear on this stretch of highway, my scooter starts to slowly pulse higher rpm lower rpm on about a 1 second pulse up/down cycle but rear wheel never locks up. I don't believe it is a flat spot or bogging from incorrect jetting. Its like the scooter is hitting a wall of max power and when it hits that wall, it goes back down a bit then goes back up and hits it again. This is on about 2 mile stretch of less populated highway, WOT for the whole length. If I back off WOT slightly it stops pulsing RPM and holds steady. I have temp and rpm gauges on. Scoot never gets over 225F at WOT, granted it is only like 45-50F out. RPMs when in neutral and in 3rd gear can rev up to 6500, but at WOT under load in 4th gear max out around 5500. Everything is stock on the scoot except sip road xl and boyesen reeds. I don't think this is a soft seize as the rear wheel never locks up and the bike engine doesn't seem to be locking up at all. I want to think that it is fuel starvation at WOT? I replaced the LML stock petcock with a PX petcock from scooterworks, which seems to not have reserve setting, just off and on. Also replaced the fuel line recently. Carb is stock 20/20. I had a similar issue on my PX, always on the same bit of road, slightly uphill, I thought it was fuel starvation, long un short, in the end I changed my HT lead & suppressor cap and bingo. it must have been arcing through at high revs. 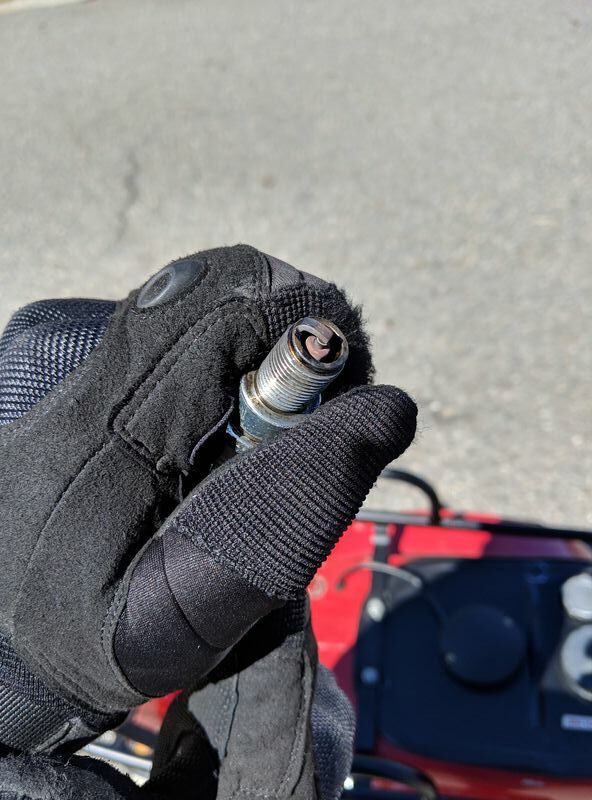 Well, I just replaced the CDI, HT coil and cap under 1000 miles ago as it wouldn't start or idle when I first got this scooter. I'm hesitant to buying all of that again as I think they are working fine now. But your issue sounds a lot like mine. I'll have to try a new coil and cap just to be sure. A stock Stella with a SIP Road will need to go up a few sizes on the main. I am sorry I did not clarify, scoot is stock except for road xl, boysen reeds and jetting. I am at 45/140 idle, 140/be1/116 main stack. Silly question, but have you tested this stretch of road in both directions or used a GPS to look at elevation changes. A ballistical side note that may not be applicable here, the faster you go, the more you are affected by cross wind until exceeding about 1400 fps. Yes, It was definitely worse in one direction over the other, but still present in both directions. slight incline at opposite ends depending on which direction you are travelling. Also, If I remember, there was slight wind, but it was not an extremely breezy day. It's been too cold, and family in town visiting the past week, so I have not had a chance to get out there and test further. Still haven't had a chance to really debug this yet either the weather is too cold on days off or I haven't had enough time before work on warmer days to really run some tests. 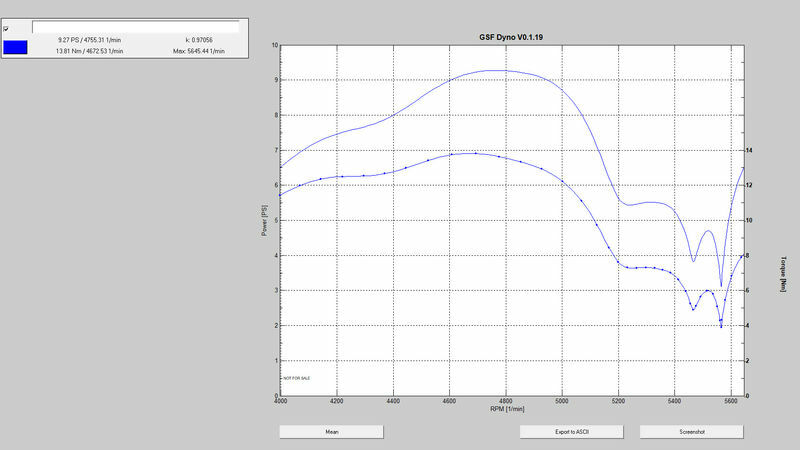 I did try to use the GSF Dyno app today briefly to see what it would come out with. Not sure if I'm using the app correctly and/or recording the audio clear enough, but I feel like the results of this first usage kindof show the bouncing at wot that happens. It not only happens on 4th gear but also at 3rd gear wot on a flat road (granted it was windy today, I don't think my issue is wind related). Someone else suggested maybe too rich main jet, to try walking it down little by little. who knows how accurate this first test of dyno app is. This is 3rd gear. Tried to do a full plug chop today quickly. Normally I just run a new plug at full throttle or 1/4 throttle pull it and check it without chopping it. Those times the plug always looks chocolate. This is the image of the chop full throttle plug running 3rd gear straight road for 10 seconds of max rpm. I'm probably doing something wrong with this but here it is. I've been working on fixing a 4T stella automatic at the same time so I have really been distracted on this 2T (doing too much) so I will try to give it more focused attention once I get the 4T out of the way. Needed to get the automatic fixed cause it was in pieces taking up my whole (small) garage. Turns out I had 114 main jet in, forgot that I changed it from 116/118. Ran some tests today with the suggestion of Lee Lux of @thatscooterthing and came to conclusion I was way too rich on the main jet so it was killing the RPMs at the top end. Went down to 105 main jet and it accelerates fine up to 6500 rpm and maxes out at 58 gps 65 speedo on that stretch of highway. Gonna try to walk the main jet down to 102 or 100 and see if it gets any better. I would have thought being that rich would have created bogging or dead spots in the middle of the range but it ran fine up until wot. 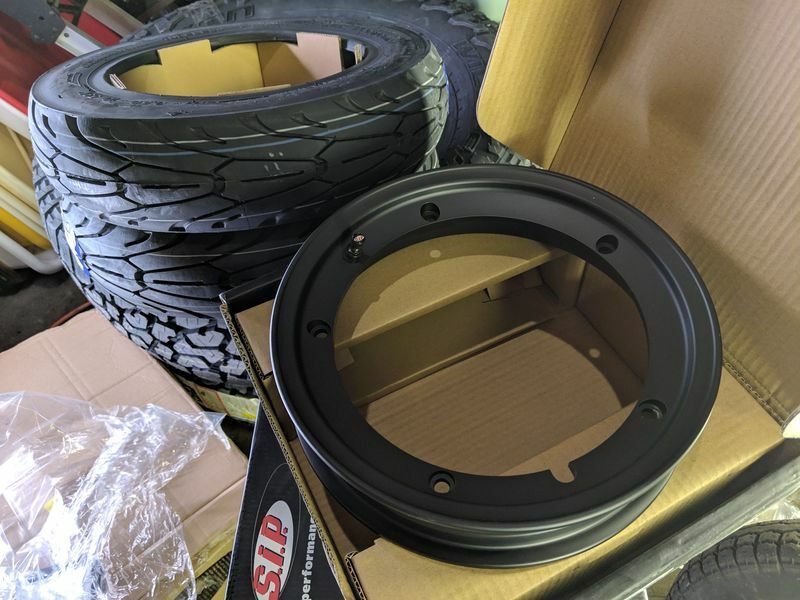 Lee is also suggesting changing the timing from A to IT with this sip road xl pipe. Can't wait to see if my fuel economy goes way up from current 42 mpg now that im not so rich. 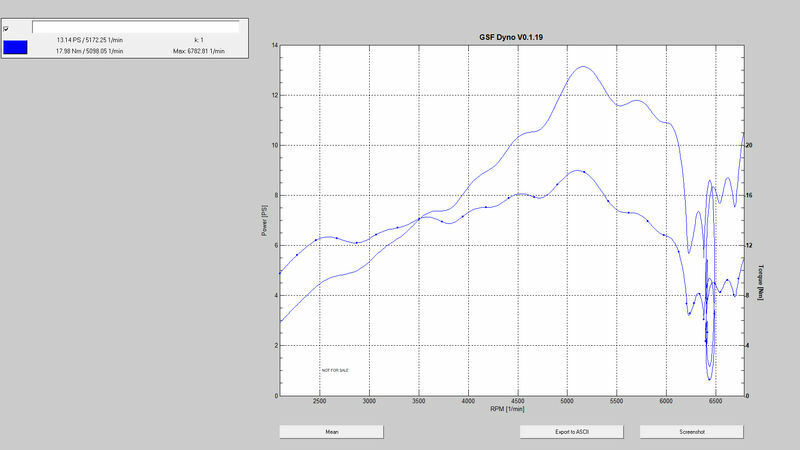 Here is the GSF Dyno report from a 105 main jet. at wot hit some pot holes and manholes so it got bumpy. Pardon the question what is the GSF Dyno ap? Record audio on your phone of a run in any gear then use this app to get a dyno graph from it. You have to modify all these settings in app for gearing ratio, tire circumference, etc. Having the biggest main jet that runs clean, with a tan coloured plug of the correct temperature rating, will give the most power. It's possible to get SI main jets in 1's now. Looks like good progress and some healthy power even if you don't fine tune any more. The power curve does say the exhaust port is too small but that's just by the way. How can you tell that from the curve? Always interested in understanding more about how all this stuff works. I will be fine tuning it more using fmp's choke test. I want to get it dialed in to get a good baseline of this stock engine with road xl pipe. I bought a malossi 166 to slap on it the next month or so as my goal is to get top speed up to the point I can drive what feels safe on highway in order to commute to manhattan for work instead of public transportation which i'm sick of. current 58mph straining to stay there is just not safe enough with merging traffic. months later the plan is to crack case and upgrade crankshaft, match cases and basic port work for optimal flow. I am down to 102 main jet now and it is night and day, with way more acceleration and just feels cleaner and stronger running all over. Still gonna test to see if i need to go down to 101 or 100 main jet cause there is no increase in max rpm or top speed from the aggressively rich main jet I had till now. Im really curious how much the air mix screw plug affects the main jet sizing if anyone knows? I think that may have been my problem as when I got this bike off my uncle, he had a 105 main jet in. Shortly after when I was brand new to working on them by myself, the ancient plastic screw plug that closes the rear of the air box broke off when I unscrewed it to make adjustments to that air mix screw. 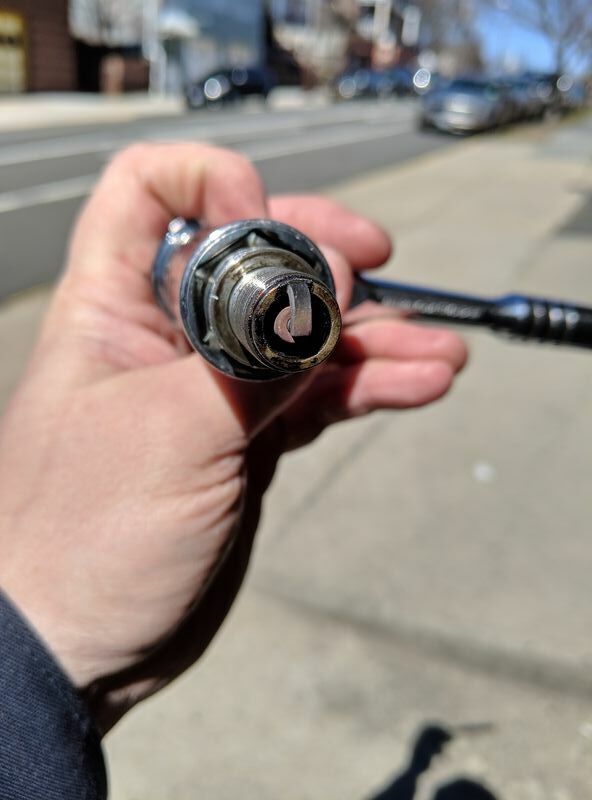 The scoot then ran like crap, but I was dealing with figuring out many other issues at the same time (bad CDI and HT Coil/crud in the tank) so I didn't realize that plastic screw plug made a difference being missing. I finally got those other issues fixed and scoot running relatively well (what I thought was good) by jetted up to 114-118 main jet 140 air corrector, and I feel like it was close to spot on then. Since then, having run this scoot for almost the past year with no plug on that airbox hole in the back. About a month and a half ago I finally found those plastic screw plugs on SIP and ordered a bunch of them to have some spares. Then when I re-installed the plug, the scoot started this issue of losing rpms at full throttle. I now know that my main jet was way too rich at 116. 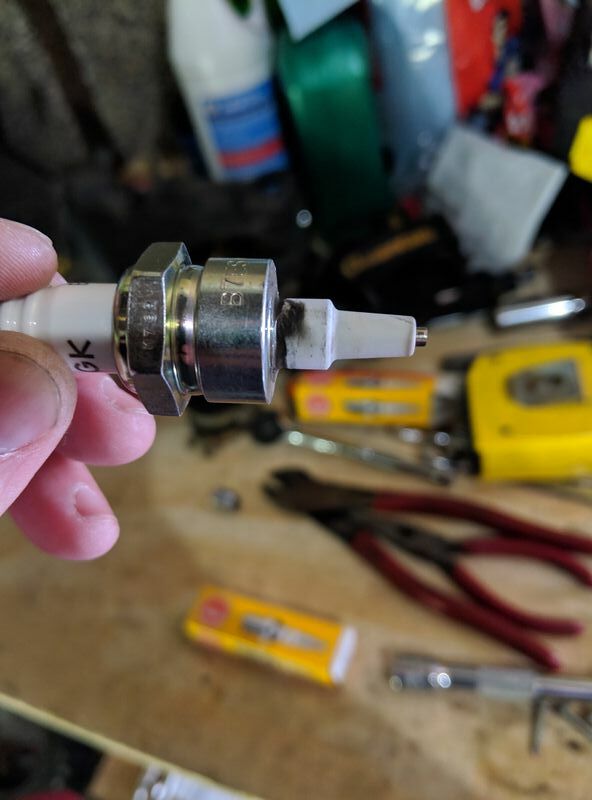 So I guess my question or statement is can that plug being out really change the main jet 14 sizes to get it running well at either situation? 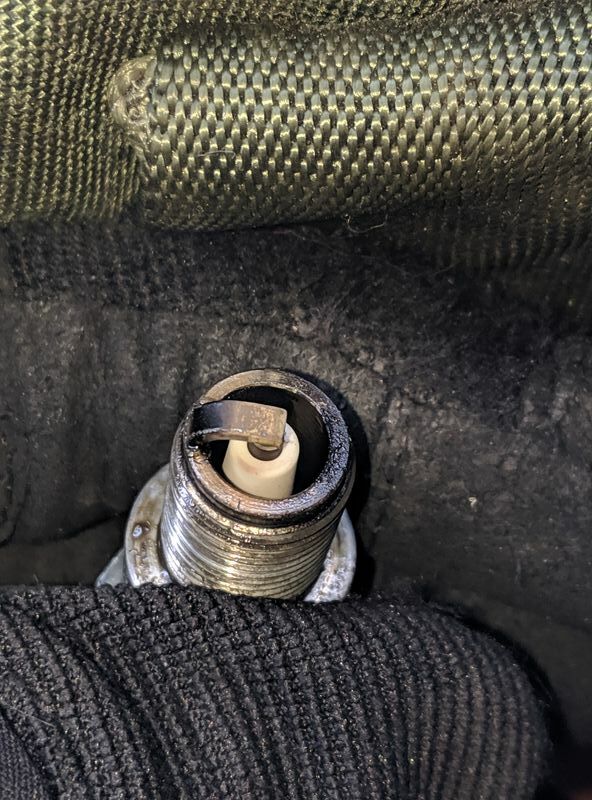 If you think that plug makes a difference you should check there is nothing under your seat blocking the air intake hole. Remember when reducing the main jet it will get better and faster at every step, until disaster. A perfectly set up main jet is only two sizes over one that seizes at sustained WOT. Check your WOT plug colour after a long run. No need to cut it open just look at the insulator. I think it was just me jetting it way too rich and nothing really to do with that plug, cause I never really ran it WOT much until the first post in this thread a month or so ago. 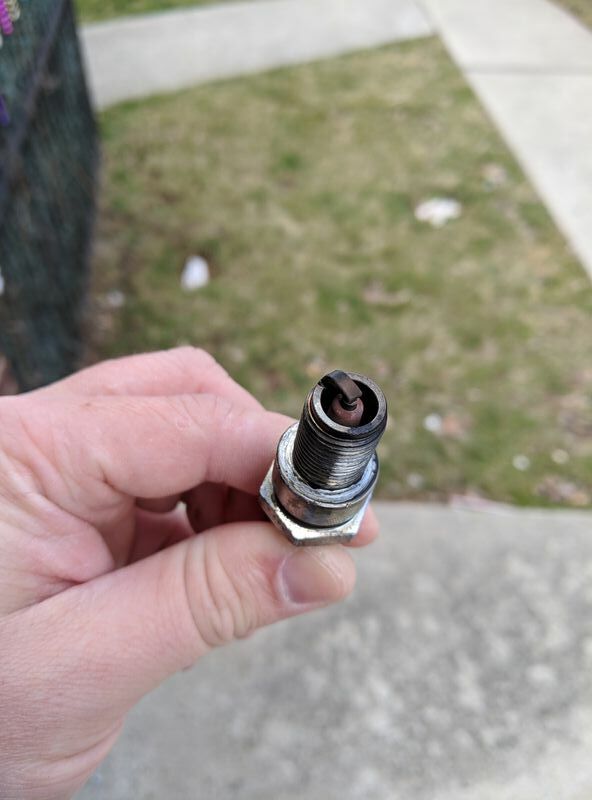 Im mostly driving around 30-40mph on city streets, so I don't think I ever ran it high enough to accurately check the plug for the main jet. Whats strange is the plug looked good to me and wasn't wet when I had it jetted really rich. But I guess it's cause I never pushed it high enough to test the main jet independently. I was so paranoid of seizing it, that I was way too cautiously rich. I got jet sizes 100-104 today, so was able to bring it down from 105 to check at 103 main jet after a WOT run with a little bit of bogging at full throttle, and it was just damp on the bend of the electrode and threads, but just starting to look good at the tip. So I went down to 102 as originally suggested by Lee @thatscooterthing and that's when it felt like it was a million times better. I'm gonna run another WOT test at that same jetting tomorrow to check plug and see if I need to go down 1 more size. I know its close, but hoping one more size down would be the sweet spot. I will not be thrashing it beyond the plug tests at any sizes smaller than 102 until I feel confident it is jetted correctly. A perfectly set up main jet is only two sizes over one that seizes at sustained WOT. Btw, this is great information! Appreciate the help and will definitely store this info in my brain right next to fmp's main jet choke test which i used when still on the 105 main jet. Plug at 102 main jet. Finally starting to see the chocolate and similar look to everyone plugs. I am realizing that what i thought was chocolate before was just black plug. I was misinterpreting it as dark chocolate, when it's more a strongly saturated brown color with some slight red and yellow in it. Down to 100 main jet and could maybe go to 99 or 98. It's like a whole new bike. Screams all the way up to Max speed 55-58 now. Max rpm 7600. Smile on my face the whole way. None to minimal four stroking on throttle changes now. Strong acceleration the whole range of throttle. Running temps used to be around 180-200f on streets 30-40mph with long wot run up to 225f. Now it is more normal range of 200-230f on streets 30-40mph. Highest i saw it go for short run wot was 250f. Tomorrow will check a longer run. Plug looking more like it. One issue to deal with before going any smaller on the main jet, is the plug itself. I'm guessing that is a B7 or B8 plug? It's running to cold. Try a B6 plug. Run about 50 miles and check the WOT again. Running a higher numbered plug when not needed makes the plug darker than it should be. This can make you believe the jetting is rich, when actually it is closer to correct than you think. Good info! Im assuming that will clear up the darker edges to the plug on the bend of the electrode and the screw base, making it more uniform color throughout, which is why I felt it may still be too rich. I am using BR7ES plug, so I will switch to BR6ES tomorrow and check the plug Monday or Tuesday. Once hotter that black on the inside wall will reduce and the insulator will run a shade lighter. I don't think you have reduced it into the danger zone The new plug colour will confirm either way. Doesn't good set up of the carb make all the difference? Changed a few jets and voila! Speed. I'm not running a resistor plug cap, just the resistor plug because i have a digital koso cht gauge that was perpetually restarting until i switched to resistor plug. Yes the difference is amazing. I ran about 10 miles today with the hotter plug and it looked like it went from Orange brown to pale yellow. But i did not check the plug after a long wot run.. So i will drive another 40 miles tomorrow then check that. Plug checked after 50 miles and a short WOT run. Now Im wondering if this might be slightly lean. The coloring is not as saturated orange brown, but more pale brown/yellow. Im also thinking I may need to revisit air mix screw and possibly the atomizer because its got some wet spots on the sides. Looking not so bad. If you're under it is only by just one number. New plugs take a while to get a good shade. The B6 plug is running hotter but still on the low end. As there are no lower numbers it will have to do. Is your pilot jet still 45/140? 48/160 is more normal. This is possibly too much. Adjust the mixture screw with tickover at 2000 rpm, as it is more accurate. Yes my idle jet is 45/140. I have not adjusted the mixture screw since bringing main jet back down from 116, so I should probably fine tune that a bit. It is turned 2.75 half turns out. It settles down to idle nicely still. Does not hesitate to settle and holds it steady. It runs great throughout all throttle positions. I am only questioning if it is slightly rich mid to low throttle because most of my driving is at that range, and when I did the short WOT run right before plug check, it leaves wet oil on the edges of plug (which I assume is not long enough WOT run time to burn off the rich oil from lower throttle majority of the time right before that run. In that 50 miles I did do long WOT runs up and down that highway connector about 2.5 mi each direction.. probably 4 round trip times over the course of two days. It accelerates great. What I have noticed is that I can do WOT runs in 2nd or 3rd gear on deserted back roads with less space and it will max out at 7600 rpm, but when I get up to full speed on that highway connector I am at WOT the whole 2.5 miles and it never gets over 6600 rpm in 4th, BUT, it does not feel like its struggling at any point up to that. I assume this is just the limitation of the gearing and top end, unable to get any higher in 4th. My top speed fluctuates depending on uphill/downhill and wind conditions (its been really windy here last week or so) from 52-60 mph. I am about 225 lbs so I'm slowing it down a little. Also been keeping an eye on the temps during these runs. Just driving around streets 30-40 mph with this new b6 plug at 100 main jet, I get around 200-220 F. On that 2.5 mi long WOT run, it gets up to 230-235F +/- and when I come to stop at red light at end of that run, while idling, temps go up to 240-255F. 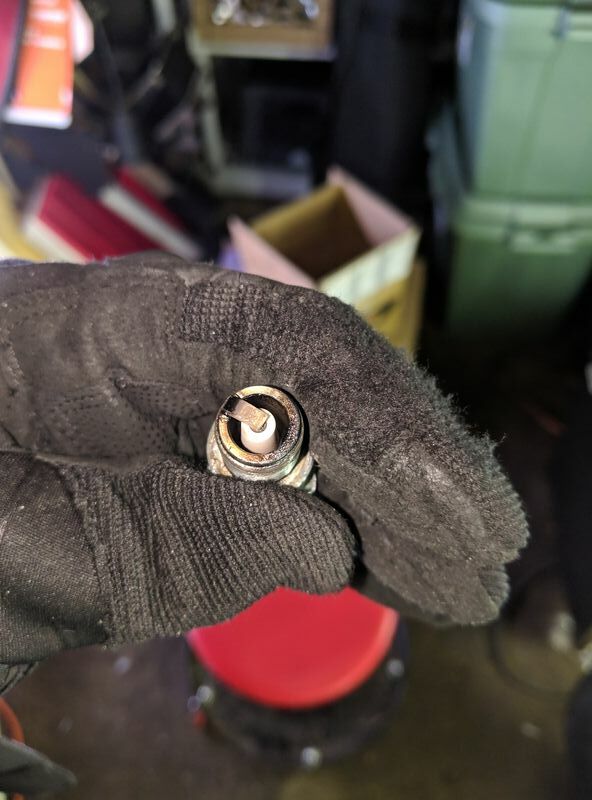 it makes sense that this would happen as there is less fuel/oil entering the cylinder to help cool it after that run, and I can understand the danger of making sure your idle is set correctly. Given all those temps, I would think it is in the safe zone where all I have read on here and elsewhere online is that you should start worrying up around 350-375F. Being over rich is often smooth and rides nice but is wasting fuel. Reducing the main jet does affect the whole carb, so at 2.75 half turns (1 and 3/8 full turns? ) the screw does need adjusting and if correct pilot is too big. With the riding you have been doing, if your main jet was lean, you would really know by now. When the pilot jet does turn out to be too rich the main jet will need to go up at least one number to stay the same. I did think you were talking Vespa speed with the 58mph but looks like its actual GPS speed. Way to go. That's a quick 150. I expect you have a 68/21 with a 35 tooth 4th EFL gearbox on a 150 Stella but what do I know. Someone may confirm this. 7600 in 3rd and 6600 in 4th is exactly correct for touring style gearing (1000 rpm gap). As you use this for commuting, probably best left alone. I know what you mean about the weight thing. The only way out is to start tuning but that's a slippery slope to ending up like the rest of us addicts, needing multiple scooters and being on first name terms with SIP. Yes my speeds are all GPS actual. The speedo dial on the bike shows about 65-68 MPH, and is about 5-10 MPH off at that speed. Too late! I've already started down that path. I am taking it slow down that path though, making one change at a time to get a feel for what each part changes in how the bike rides. First mod was the SIP Road XL pipe for a few months. Then came boyesen reeds instead of stock metal stella reeds. Next, I have a Malossi 166 kit waiting to be plug and play installed! I am trying to get the jetting sorted out on stock cylinder first so that when it comes time to install the malossi, I do not trash it, and set jetting up correctly. I will run it in for a few months plug and play. Then I will swap out the clutch gear for 23 tooth. 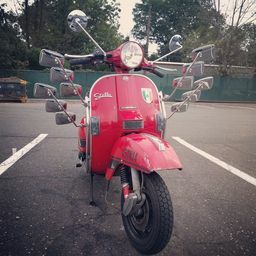 Then after a few months of that, when I know I have the jetting correct, I will spend next fall/winter rebuilding the engine, replace the crankshaft and match cases to the malossi. Luckily I do have an automatic stella to use when this one is down. I plan on getting rid of the automatic once I finish the engine rebuild on the two stroke stella. Both these stellas are my teaching tool to learn how to fix and work on everything to do with them. I went from never touching any motorcycle or scooter a year ago, to owning both of them and fixing/replacing a decent chunk of stuff on both of them on my own. Thanks to scooterwest/fmp/thatscooterthing youtube videos followed up by good advice from people on this forum like you. Its fun and rewarding when you finally solve a problem and get it running well. And it keeps me away from a computer screen which Im sitting at 90% of my day normally! When you're ready for the Malossi 166 it will be less fuss to do all in one step. And with this forum its not that big a step. The new Malossi 177 is possibly the most powerful small block kit out there, if you wan't to ditch the 166 on ebay and save even more time. Either of these will run on an autolube 26/26 and pull a 22/68 clutch cog to make a higher speed commuter scooter. I would suggest not splitting the engine until there is a better reason. The bolt on cylinder, bigger carb and stronger/higher clutch will make the most difference. I am gonna stick with the 166 right now as it's cheaper, i have it, and is my first engine mod. Cast Iron kit I can learn and hopefully not make mistakes on. Using scooterhelp gearing calc, for my current gearing, I just need to get up in the 7500-8000 RPM max range in 4th so that I can cruise at 55-65 on the BQE, and if I upgear the clutch to 22 tooth that just makes my desired cruising speed a little less rpm! That malossi 166's included instructions suggest a 23/65 gearing. I read on here most people suggest for something like this just going up to 22 tooth clutch and leaving the primary at 68. I know its a balance of torque vs max speed. I'm just not sure where between all that I need to be. I do have some hills here on SI where I live, but most everything else around here is relatively flat. I'm inclined to lean more towards high rpm given I have a SIP Road XL pipe which works best at higher RPMs. As far as cracking the cases, I don't need to do it immediately, so I'm not in a rush, but this engine does have 8600 miles on the speedo which is probably over 10,000 miles given my uncle who had it before me never fixed the speedo gear in all the years he rode it. Also the shift cross will need to get replaced sometime in the near future given 2nd and 3rd pop out a bit, not a ton, but enough where i'm hesitant and extremely deliberate when shifting. I figure I will do any and all extra performance mods to the case and internals at that time. I took the rear wheel off today to install new sip tubeless rims and tires and noticed a lot more wet oil than i remembered on the clutch arm. Hoping this is not a sign of an oil leak but normal functioning engine. If an oil leak then add that to the shift cross as another pending issue to rebuild engine. Btw, quick run before work on these new rims and tires and you can actually notice a difference in comfort and grip over the zippy 3s and split rims i had on previously. Also shocked how short the lifespan is on scoot tires. The rear zippy 3 i just took off had noticeable wear after 1000 miles since i got this bike. Looks to only have about 2-300 miles left on them. Roads on Staten island are pretty crappy with lots of potholes and chewed up pavement which is basically gravel on the road. You already have the 166, so fair enough. Just don't expect it to do 80mph. To pull gearing you need torque, to rev you need power. That said I would be surprised if the 166 is any more than 5mph quicker (63mph) but should feel a lot stronger. The iron cylinders are great for Dremel practice and even if not changing the port timing there are lots of areas that will need cleaning up. All the extra oil dripping off the clutch arm could be from the carb box due to that rich pilot jet. I recently changed the clutch arm O ring on my 221, as that was dripping gear oil. Could easily be that. Neither need the engine split. Gear changing difficulty is very often just the selector box in the early stages. The pivot on the selector pawl wears. The wobble can only be felt with the spring removed. There is a refurb kit for that. When the cruicform is ready you will know. Tubeless rims are essential for high speed riding. Personally I don't like the SIP tyres but I know a lot of guys do. The FMP choke test you referenced - watched vid but was unable to determine what he was testing. Best assumption: if you can pull your choke and it still winds all the way up you are ok/ not to rich with your main jet from a rich perspective? Looks like Jack's help with reading plug is more precise - but curious if you understood the FMP choke test differently and how your bike performed using it with the different main jet set ups. I understood FMP's choke test completely differently. I think what he was saying is that once you get your main jet to what you think is good, you do the choke test to make sure its not too lean. He uses the term "throttling" in a way that is counter intuitive to me than what I think he means. I think his term throttling to me means bogging or hesitation. The only reason I made sense of that is because I could see and hear the same symptoms in his video when he pulls the choke out. It was exactly the same symptoms I was dealing with when my main jet was super rich. It was what I thought was fine up until full throttle, then it just sort of lost energy, but not like it completely cut out, like there was a limiter that just brought the acceleration to a stop and lowered the rpm slightly. find a stretch of road you can comfortably hold 80% throttle and reach down and pull the choke out without worry of traffic or running out of space. When you pull the choke out at 80% throttle what you are looking for is for the bike to slightly bog down and lose a little speed. At 80% if your bike accelerates when the choke is pulled out, then that is a bad thing.. it means your main is too lean, and the choke being pulled out is bringing it back to what it should be at without the choke. If you test that at 80% and it does not start racing, but gives just a little bog or holds steady then you are close. Then try again at 100% throttle and it should again bog down slightly (definitely not accelerate). It's hard to be accurate with the 80% throttle and hold it steady so I just go almost full throttle. He also does not fully elaborate on what the sweet spot is that you are aiming for with this test. My assumption is that you are basically checking 80% to make sure there is no acceleration with choke (dangerously lean).. then at 100% you are trying to set the main jet at a point where it only bogs down slightly, not a major slowdown with choke. My thought process is that those two tests give you the upper and lower boundaries of rich and lean on the main jet.. so you are trying to get the main set so that the 80% test is lean enough where its not racing but not bogging, and the 100% test is just barely bogging. Which to me would mean you are on the sweet spot or very lightly rich. So the test is not really to check if you are running super rich, but trying to fine tune just how close you can get to lean without being lean. You are finding the edge of the lean cliff, and walking as close as you can to it, hacking a loogie and hoping you don't fall over the edge! 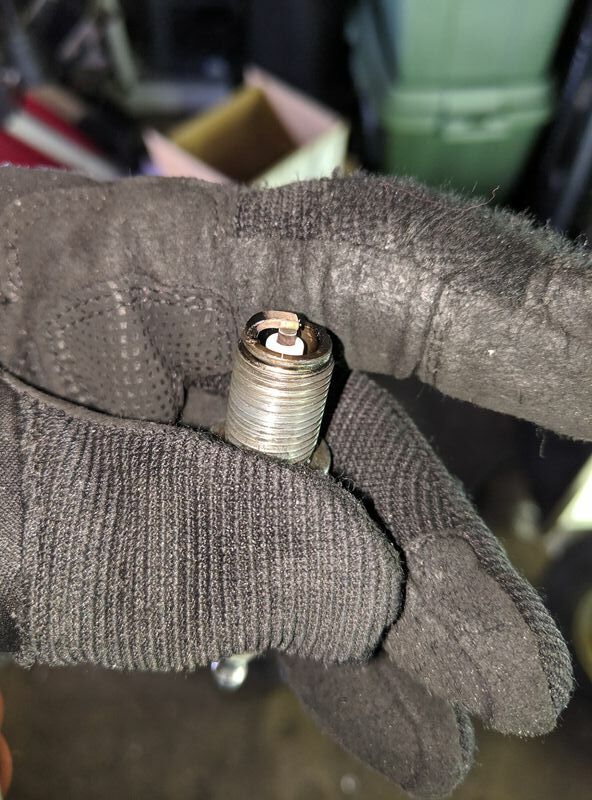 My bike at the start of this thread was so rich main jet that it performed as if the choke was out all the time. This also makes sense now as I had no trouble starting it first kick every time and had to turn choke off instantly when cold. Now when I start cold, it needs the choke longer and takes a few more seconds and a little twist of throttle to get it to stay running without choke. There is a very small warm up time now that everything is set more accurately. If anyone else with more knowledge thinks otherwise, please correct me! Im just going off FMP's video and making educated guesses where his video left gaps in explanation.